Sometimes it may be useful to export notes and highlights from more than one article if you're working on a collection of articles. This tutorial will walk you through how to do this. 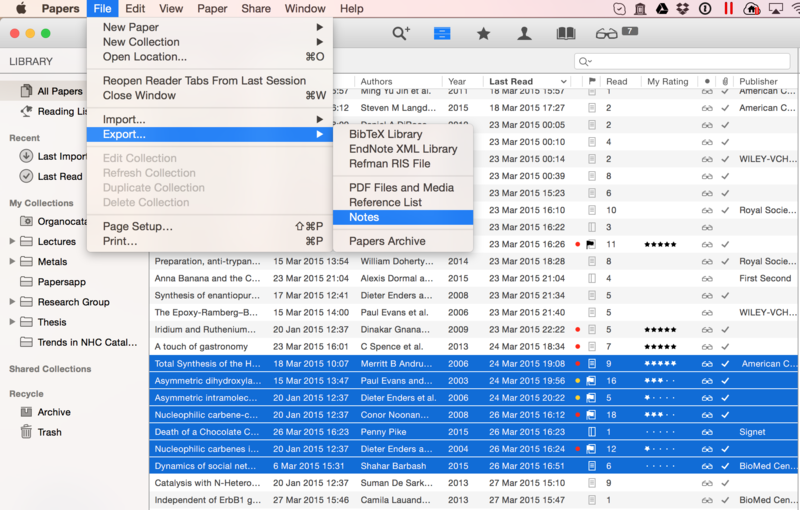 Select the group of articles you want to export the notes and highlights from. A new dialogue box will appear, name the new file and choose the location you would like to save it to. Make sure that 'Selected Papers Only' is selected for 'Export'. 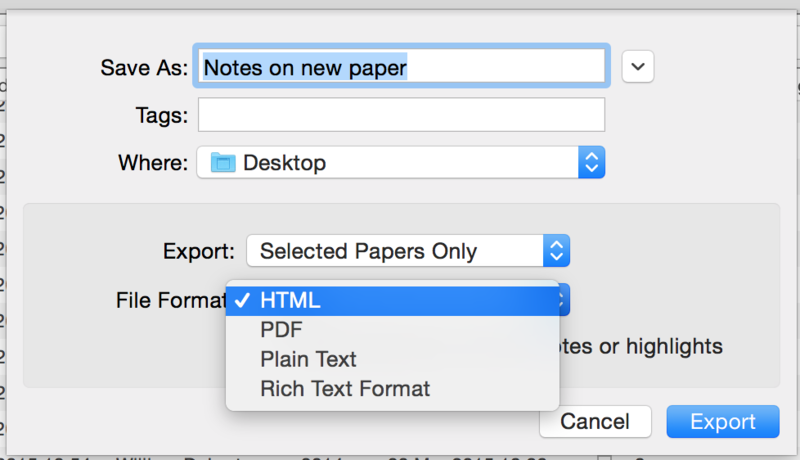 You can also choose the file format you would like your notes exported.